If you’re looking to get fit, or to maintain your fitness level through a mix of cardio and resistance training, Stamina Products has a wide range of products available to help you. Whether you’re a beginner, intermediate, or experienced fitness enthusiast, our products can cater to any level of ability. If you’re also working with a limited space, then the ellipticals we have available at Stamina Products are the perfect solution for you. Keep reading to learn more about the benefits of ellipticals and the space saving solutions we have for you. Or skip down and take a look at the types we have available. 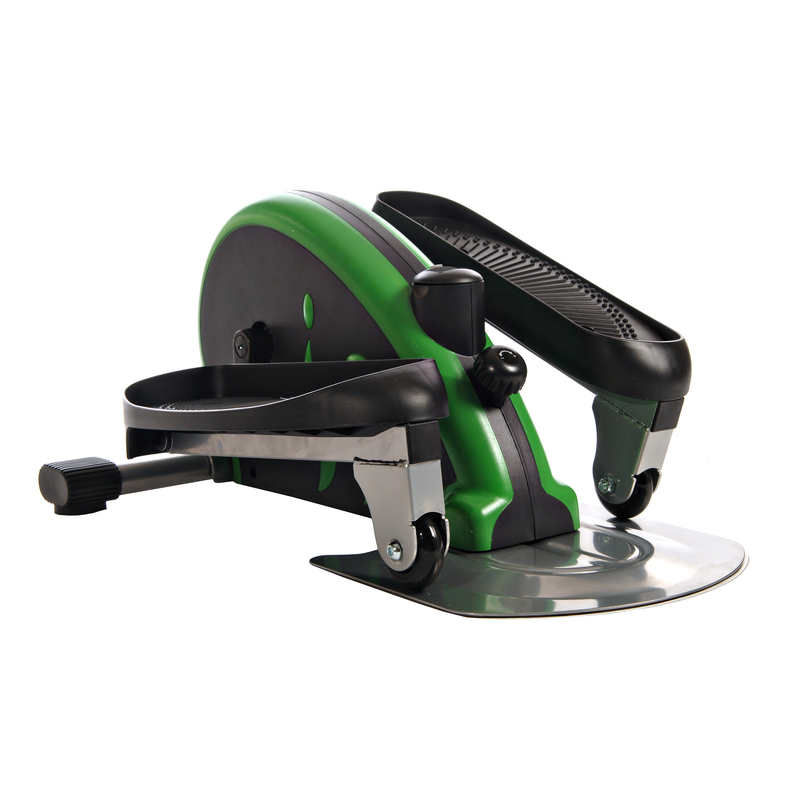 Training on a compact strider can offer many benefits to your physical health. If you’re looking for ways to begin a cardio routine or add to your existing one, there are a lot of options out there. While running or jogging is effective, it can have long-term consequences for your joints, especially if you’re starting a little later in life. With a compact strider, you’ll be able to incorporate cardio easily into your life. Whether it’s at work or at home, it’s easy to multitask while using a compact strider because you have the option to sit down. Even more, using a compact strider provides the same cardiovascular benefits of running without the harsh impact on joints. You’ll also have more control over the intensity of your workout than you would running. Because of this, our compact striders allow anyone – regardless of age or joint problems – to feel the benefits of a cardio workout whenever and wherever. Not only do the striders that we offer at Stamina reduce impact on your lower body, but they can provide a great – sometimes better – overall cardio workout. A basic strider will help tone your calves, quads, and hamstrings while improving your cardiovascular performance. If you’re starting out slow or you’re looking to add some variety to your cardio, space-saving Stamina striders are exactly what you’re looking for. Some of our compact striders include upper body resistance cords to add even more challenge to your strider routine. These cords can make a big difference. Not only will your burn more calories, but you’ll tone and strengthen your upper body. And when you stand up, you’ll have to balance, which requires your core. Your health, fitness, and wellbeing are important to us, and we want to make sure you find the ideal equipment to let you work out in comfort, while providing the personal challenge you need to meet your fitness goals. If you have any questions or concerns about our products, or you’re ready to place your order, contact Stamina Products today. Take a look at the full range of striders and ellipticals we have available below and order today!